There’s never enough time in the day for a business entrepreneur. Repetitive daily tasks can eat up an inordinate amount of time that could be better spent elsewhere. To maximize productivity, it helps to stay up to date on current technologies that can save time and help manage the various “to-dos” that can quickly eat up the day. There’s an almost staggering array of business and productivity software, apps and add-ons available. With so many options to choose from, it can be difficult to know which tech truly stands out from the rest. Below, 16 members of Young Entrepreneur Council share their current favorite tech hacks for saving time and managing daily work. 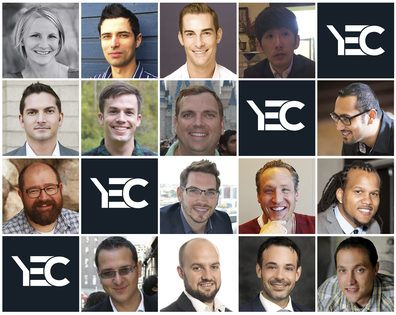 Members of Young Entrepreneur Council share their recommendations for productivity tech.All photos courtesy of YEC members. Rocketbook is an erasable notebook that can automatically upload your notes to the cloud. It looks and feels like any other paper notebook. Plus, you can use any erasable pen from Pilot, which can be found at most office supply stores. Simply take a photo of the page with your phone to automatically upload the content to the cloud system of your choosing. Afterwards, use a damp cloth to erase the writing on the page. The ink comes off easily and there is no trace of the previous writing on the page. – Matthew Podolsky, Florida Law Advisers, P.A.